This type of dermatitis can be acute or chronic inflammatory reactions to substances that come in contact with the skin. An immune response elicits a hypersensitive reaction. 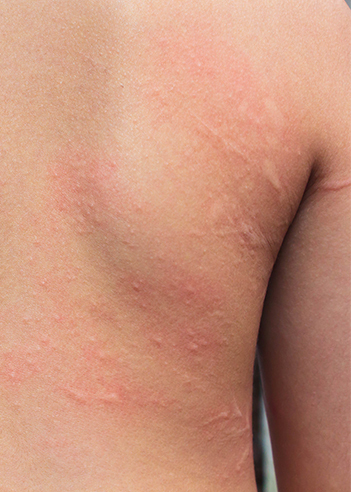 The skin condition can manifest as a hive (known as urticaria), swelling, scaling or blistered skin. Proper management can relieve the acute discomfort and itch, but it is important to identify the agent that causes the inflammation. At a dermatology office, patch testing can be run that deciphers what could be the causative agents of these rashes. These tests are different than what is run by an allergist. © SEN3 GROUP 2019 Developed and Maintained by the 3.